Interestingly, while the Kicks is a global model, the version for India will not come built on Nissan’s V platform. Instead, the car will be built on an updated version of the M0 platform designed by its partner, Renault. The M0 also underpins SUVs like Nissan’s Terrano, and Renault’s Duster and India-spec Captur. Note, the Kicks is slightly larger in size to the aforementioned models and will be a more premium model. 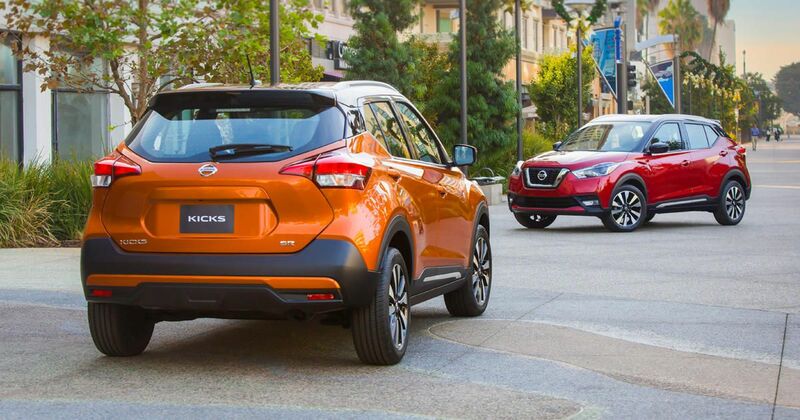 Internationally, the Nissan Kicks is available with the HR15 1.5- and HR16DE 1.6-litre petrol engines. In India, it may share the 1.5-litre H4K petrol engine and the 1.5-litre K9K dCi diesel engine with the Renault Captur. The H4K engine produces 106 PS and 142 Nm of torque, while the K9K engine delivers 110 PS and 240 Nm of torque. The petrol engine should come with a standard 5-speed manual transmission and an optional CVT. The diesel engine will likely use a standard 6-speed manual transmission. An AWD system option is ruled out for the time being. In terms of styling, the Indian Kicks will carry the funky look of the global model with it. Styling is expressive, bold and in line with Nissan’s latest models. The ridged bonnet, exaggerated wheel arches, and raked rear windscreen give the Kicks a distinct look. Blackened A-, B- and C-pillars give the roof a ‘floating’ effect and a contrast paint scheme for the roof also adds to its wow factor. Consider the Demand for Crossover’s in India, if Nissan can work towards an aggressively competitive price tag. The Kicks could be just the product Nissan needs to kick-start its long overdue rise up the sales charts in the India Market .